We are proud to announce our partnership with LYFT! You now get you great rides to Errl Camp at an even better price! 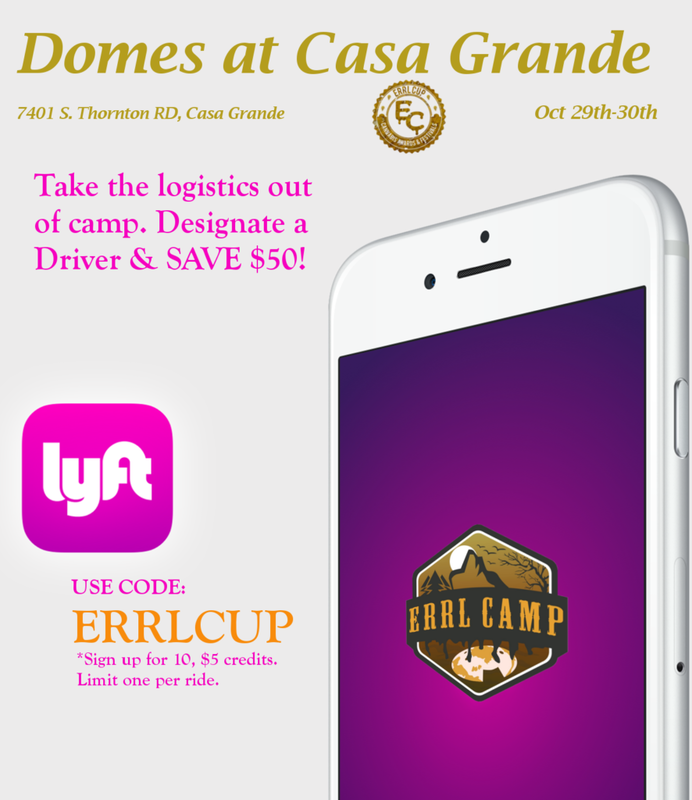 For a limited time, sign up on the LYFT app and enter promo code: ERRLCUP for 10, $5 ride credits. Use those credits to take the headache out of getting to camp or just for getting around town. It’s even cheaper than taking your own car! You can get a LYFT for 4 from downtown phoenix to Camp for less than $15* per person! You can also take a LYFT+ to that holds 6 campers from downtown phoenix to camp for only $17* per person! LYFT drivers will be waiting at camp to take you home! *Prices are average from downtown phoenix.